This weekend is one that will go down in picking folklore. We seemed to find amazing pieces everywhere we went. Some of the pieces are staying in our home, some are already up for sale, and the rest are in our project pile. 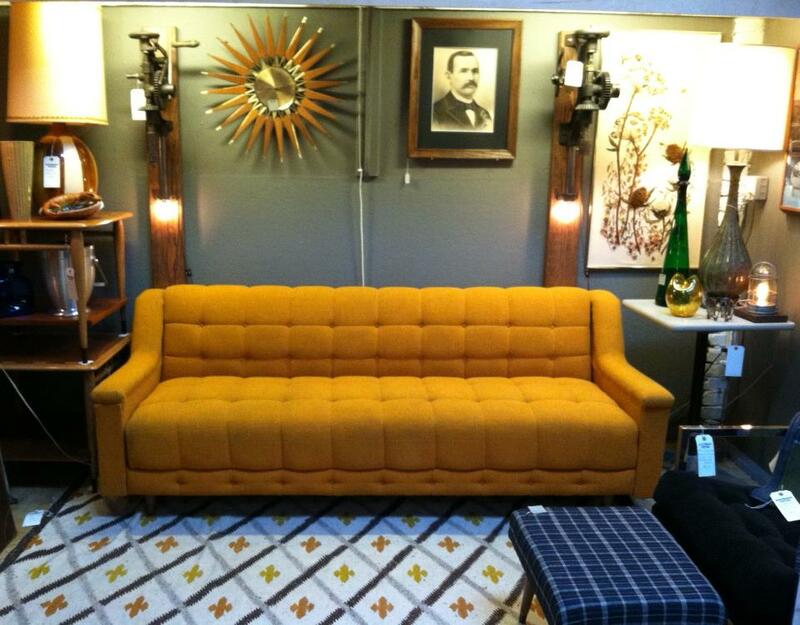 This amazing click-back sofa is pictured in our space at Hawthorne Vintage. It sold in less than 24 hours. I found this amazing Pendleton bed set at the local flea market. It will be a lovely addition to our home. I also got a matching pair of Pendleton lamp shades. They will be for sale once we find a pair of lamps for them. 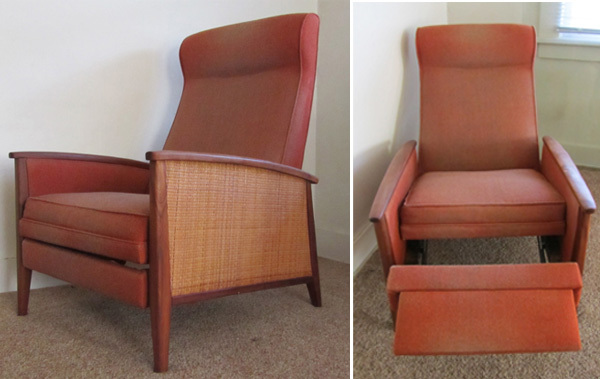 My favorite find of the weekend was this mid century recliner. I suspect that it is a Milo Baughman but have not been able to another one with the same cane sides. Does anyone know the designer or maker? These three danish lounge chair frames all need quite a bit of work I have already gotten started on them. They should all be refinished & upholstered soon. 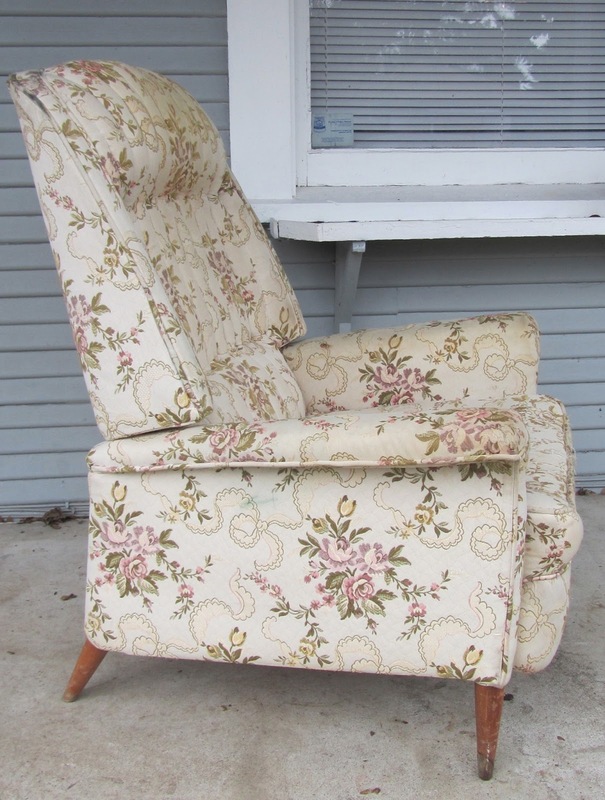 This recliner looks hideous now but it will make a great before and after picture when it is done. Last but not least was this Adrian Pearsall for Craft Associates Chaise Lounge. It is currently in very rough shape. I am not yet sure what color fabric we will reupholster it in. Does anyone have any suggestions? A BIG thank you to everyone for linking up in previous weeks! Please join us for a link up every Monday! Link to a blog post (with pictures) of your most recent (mainly mid-century) finds. We'd love it if you would link back here and help us spread the news of this new link party. We are committed to posting every week, Monday morning. We look forward to seeing you back here! Wow, what a weekend! All amazing finds. I love those little Pendleton lampshades. I was stoked when I found a Pendleton blazer last week, but that's just small peanuts compared to you! Your finds are always great! I wish I had the room and the time to pick some furniture. I have a couple chairs in the garage waiting for me to give them some TLC. Some really great finds there. Especially the Pearsall chaise. A local shop here had one a while back and it was in a great mustard color. Looked great. I actually had a question for you about the bed in your photo. 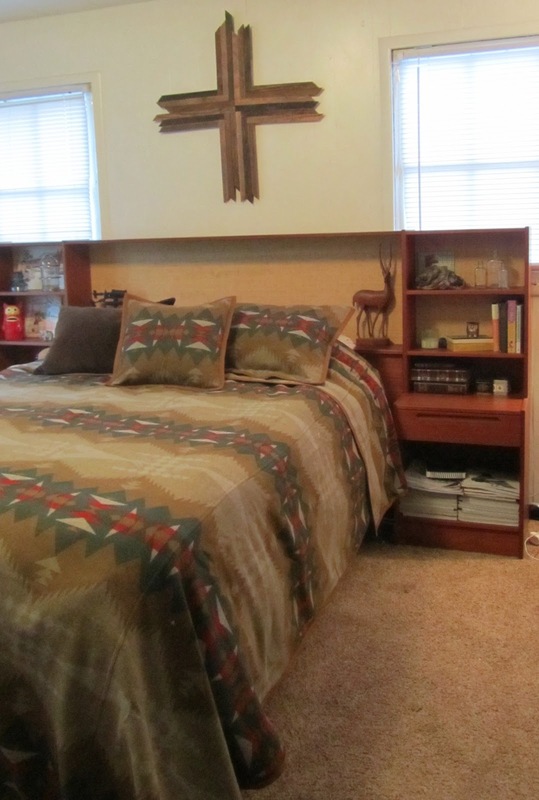 Strangely, I just came across the exact same bed and amd working on making arrangements to pick it up for our house. I had a few questions for the seller but he has't been able to answer them for me just yet. I was hoping that since you have the exact same bed you might be able to clear things up for me. Can the headboard be used without the bookcase/shelving portion or does it have to be attached? What about the night stands? Are they connected to the headboard or separate? If you'd rather email me than answer everything here, that would be cool too (info@ohmymod.net). Any info you can share would be much appreciated!